It’s becoming more and more common to use specialized apps to automate all sorts of tasks on your smartphone. IFTTT and MacroDroid are two of the most important and complete options for the job, but there are more niche tools appearing all the time that focus on more specific functions. 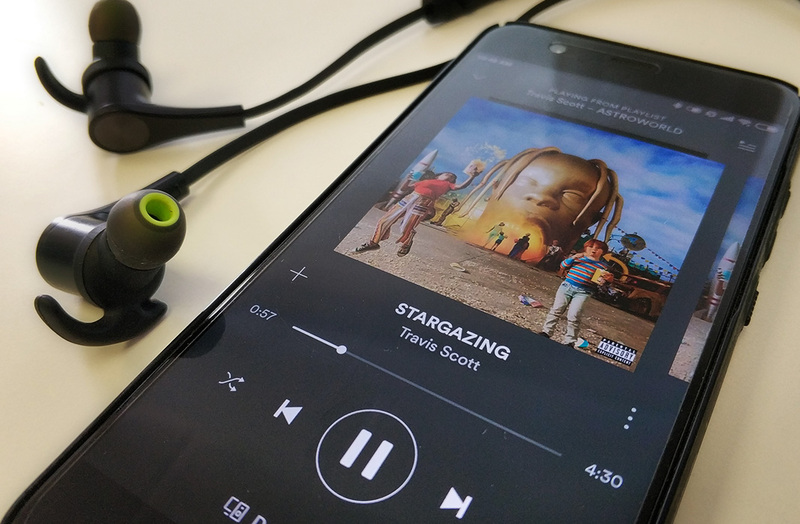 Bluetooth Autoplay Music offers a service that’s both simple and useful: it lets you listen to your Spotify music automatically, as soon as you connect to a Bluetooth device. 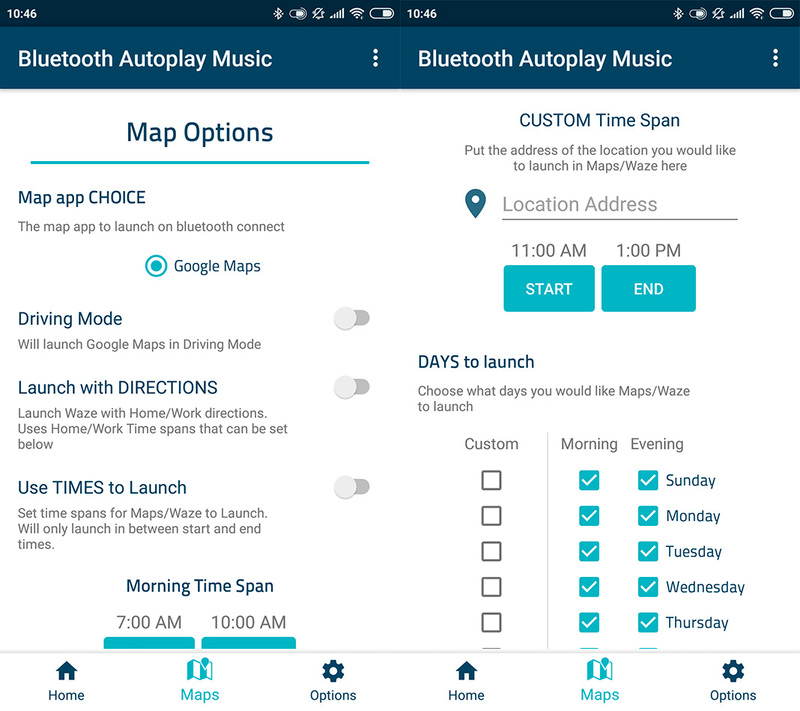 Bluetooth Autoplay Music is a perfect app for anyone who tends to get lost among the many options you typically find in apps for automating tasks. While it may not have the most beautiful interface in the world, it’s extremely useful and simple to use, letting you set it up with just a few taps of the screen. 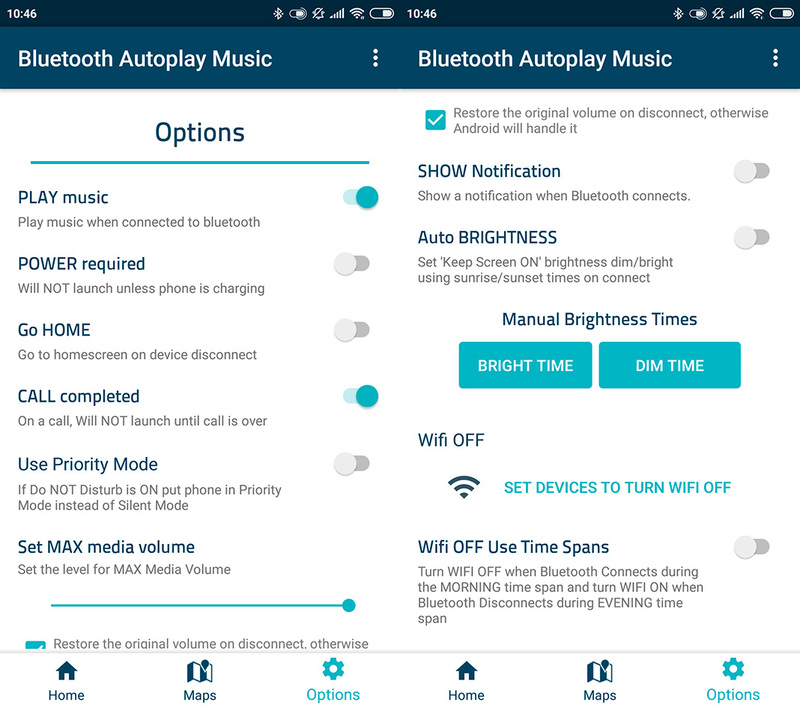 When you open the app for the first time, you can set the Bluetooth devices you want to use it with, as well as the different options to make your experience as customized as possible: activate the “Do not disturb” mode when connected, set volume to max, play music directly, keep the screen turned on … it all depends on your own personal preferences, but Bluetooth Autoplay Music makes it easy to listen to music automatically by simply activating the Bluetooth on headphones, speakers, or the car radio. This app doesn’t only work with Spotify though, it can also be used with Google Play Music, iVoox, and Telegram. And it isn’t only useful when it comes to music; it can also come in very handy with GPS apps like Google Maps and Waze. You have an entire section for this feature and can even set it up to work on certain days and times. 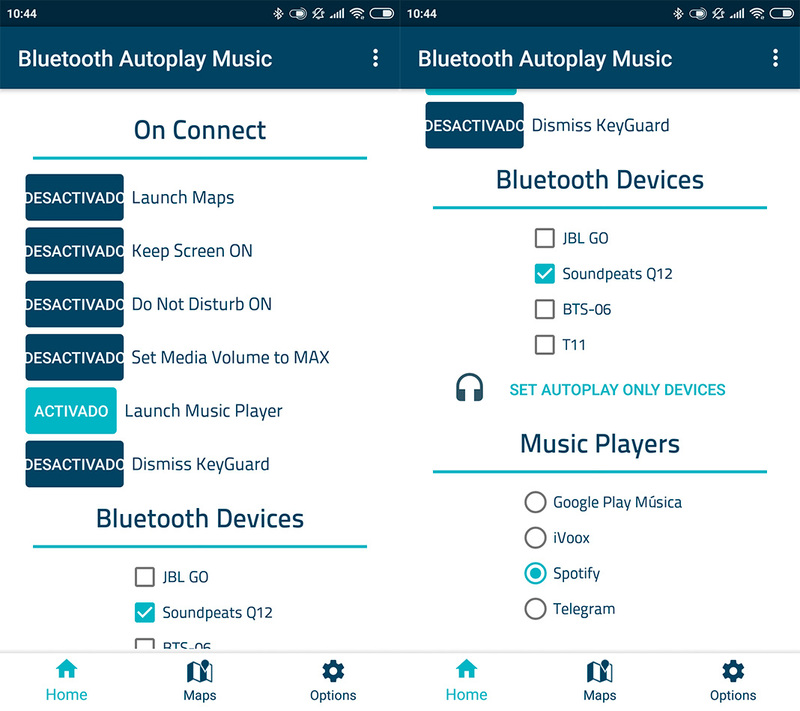 While it’s true that the features Bluetooth Autoplay Music offers can be found in other automation apps, it’s hard not to give in to its simplicity. If you’re only looking for an app that makes it easy to listen to Spotify or use the other services mentioned above by just turning on Bluetooth, then this is a must-have app. Not to mention the GPS map options, which is another feature we can’t ignore.